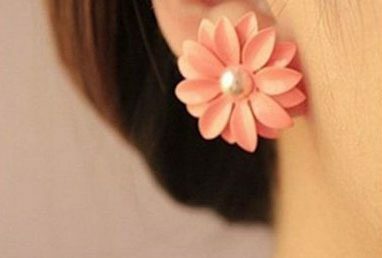 Pink Daisy Earrings Only $1.67 + FREE Shipping! You are here: Home / Great Deals / Amazon Deals / Pink Daisy Earrings Only $1.67 + FREE Shipping! Check out these super cute earrings – grab this pretty Pink Daisy Earrings for just $1.67 with FREE shipping! I think these are so cute! And, they go with pretty much any kind of outfit, from casual to dressy. I love jewelry that is versatile!